JOED VIERA/STAFF PHOTOGRAPHER- Lockport, NY-Director of the New York State Canal Corporation Brian U. Stratton, Town of Lockport Supervisor Mark Crocker, New York State Lt. Gov. Kathy Hochul, Lockport Mayor Anne McCaffrey and New York Senator Robert Ortt. 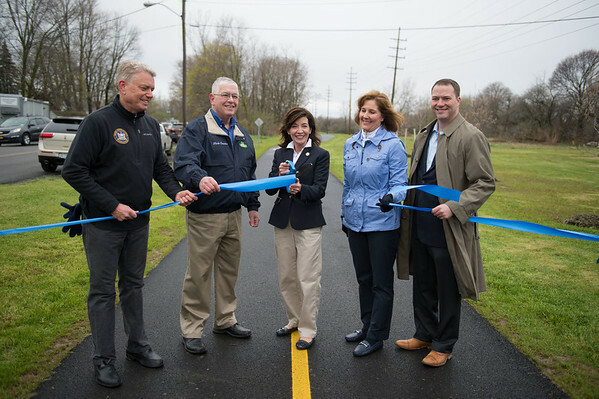 cut a ribbon celebrating the completion of Lockport's section of the Erie Canalway Trail.